Get all the new Assam Government job notifications from this page directly. The candidates for the upcoming jobs government Assam News must use this page. To enhance your Assam career in govt jobs, checking this post is the best choice. At present Assam Govt Jobs for 12th, 10th, Diploma, Graduation is available here. A table is provided below for the list of Govt Jobs in Assam State 2019. Along with Assam Jobs, here we have provided the notifications of Assam Police Jobs. As many people are trying more for these Police jobs so these are given exclusively. Ahead of this Assam Bank Job Recruitments are posted here. Check them. 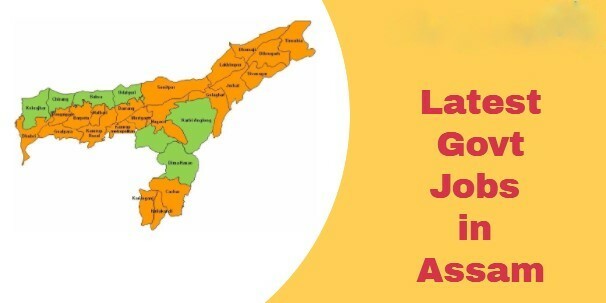 Latest Assam Govt Jobs 2019: – Dear Participants are you interested in Govt Jobs in Assam state? Then, You are in the correct place Here we are giving all the Assam Jobs News. During the recruitment process, Assam State gives the Job enlistments for the Job hunters. Use this chance to get well settlement in Assam Job Career. We are very enthusiastic to give the Assam daily Job updates. Mostly, Who wants to work in the State departments of Assam they heard the good news. The Job Aspirants get all the updates of jobs government Assam here. So, Are you really willing to apply for this Assam Jobs Recruitment? Then, Candidates have to check the post which is fit for you as per your qualification. On this page, Candidates also get all the Central Wise Jobs such as Postal, Public Sector Units (PSU), etc.., Click on this to get the information. Candidates have you still get any confusion about your Job Career in Assam. Then, follow our website we update the Assam Govt Jobs which takes your career to the highest position. Nowadays most of the Participants want to get the job in the Govt Sector. In this way, they are browsing for the new announcements of the Jobs government Assam relating their Academic qualifications. Hence, we all know that now you are in the dilemma state. To remove this dilemma from the candidate’s mind we are giving more renovated Assam Jobs updates as per their qualifications. From 8th to PG/UG candidates can get these Govt Jobs in Assam by attending the recruitment process carefully. Check the Assam Govt Recruitment Notifications from this page. Upcoming Jobs in Assam are available here. Most of the Candidates should do any effort for getting these Government jobs in Assam State. Candidates can get all the latest updates of the Assam State Govt Job Vacancies. Aspirants can check out the below table format to get the details about the Assam Govt Jobs. We are giving more information relating to the Assam Recruitments. This information is very necessary to know before you are applying for any post. During the applying, candidates have to check the post-wise eligibility. Hunters can also search for the Assam Bank Jobs in this page. We provide you with all the details like the last date, Qualifications, apply link, Post name, Number of posts. candidates are requested to apply only for the Govt Jobs in Assam, if they are only eligible for that post. Annually, The Assam State Recruitment organisation gives more opportunities to give the employment for the eligible candidates. At this time also they released more Govt Jobs in Assam to select the candidates based on their skills. In this Recruiting process, candidates have to use the Apply link to submit the application form through the registered post. So, that is why all contenders can find the important links to apply for the Upcoming Jobs in Assam state through these useful connections candidates can register easy way. Aspirants can also get the Railway Job Updates on this blog. All Govt Jobs in Assam info can be attained on this current page.